Fire up the grill with some new flavors. This set of grilling spices was curated to help take grilled proteins and veggies in a tasty new direction. 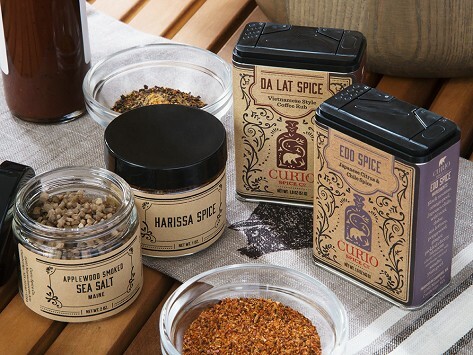 It includes three of Curio Spice Co.’s signature (and unique) spice blends along with applewood smoked sea salt from Maine and recipe cards for inspiration. It’s all directly sourced from growers and farms to ensure freshness and purity.